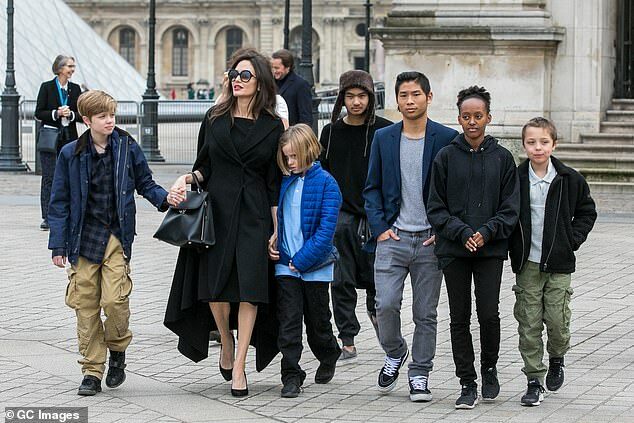 Angelina Jolie has really settled into being a single mom after her 2016 split from Brad Pitt. 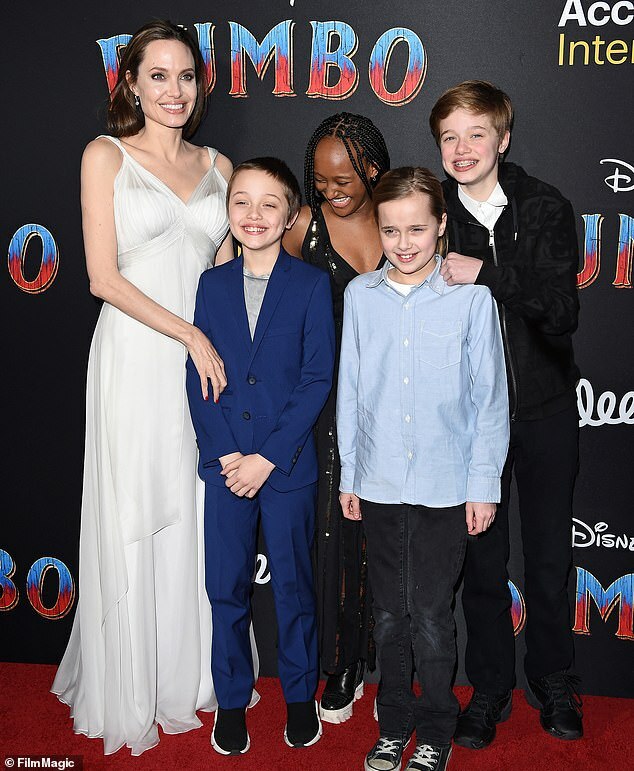 And in the new issue of UsWeekly, a source said that she is 'always coming up with fun things to do' with all six kids, which include Maddox, 17, Pax, 15, Zahara, 14, Shiloh, 12, and 10-year-old twins Knox and Vivienne. 'Her kids are her life,' the source said, adding that 'every day is a new adventure' for the family that calls a $25m, 11,000 square foot mansion in Los Angeles home. The source also calls her a 'softie' who finds it hard to say no to her children. 'She indulges the kids and wants to give them everything they want,' said the insider. But she also makes sure they don't just sit in front of the TV: 'If one of them is interested in something she really fosters that and makes it happen. These adventures have includes trips to Cambodia and Paris. Though their summer plans have not yet been revealed, it is likely that dad Pitt will be at the Cannes Film Festival in mid-May for his Quentin Tarantino movie Once Upon A Time In Hollywood. This fall Jolie will travel the world to promote Maleficent: Mistress Of Evil.